Easy to use loan calculator with built-in amortization table for iPhone and iPad. Recently updated with a simple clean interface. 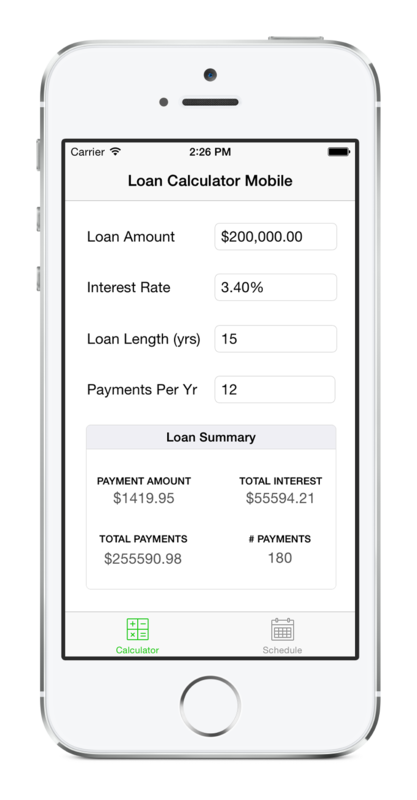 Loan Calculator Mobile is available on the App Store. Added support for iPhone 6 and 6+. Updated UI, added native support for iPad and larger iPhones. Updated UI, merged with desktop app.